Sketches by David Gosling for the processional route from Albert Square to the Crown Court. 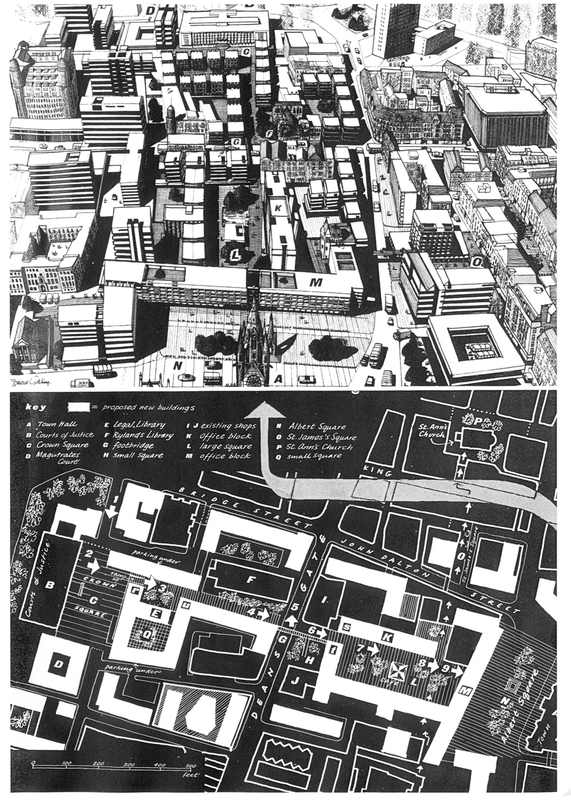 From the 1964 Civic Centre Review. The idea of the route had been around since G. Noel Hill, City Architect, first proposed it in 1933.